It is no more a secret that the Internet of Things will take over all major facets of our every day lives impacting our activities both ordinary and extraordinary ways. IoT is now also known as the Internet of Everything (IoE), suggesting a future where technology will stitch the very fabric of our everyday lives, rather than acting as a convenient accessory. The “Third Wave of Innovation” is finally dropping its anchor and 2019 is all set to experience another great revolution on the lines of the great Industrial Revolution and the Internet Revolution. A while ago, technology giant Intel predicted that by 2020 there will be approximately 26 smart devices for every human on earth on an average. These 26 smart devices will include not only remote-controlled ceiling lights and garage doors but a host of objects we come across in our lives away from home. One industry that is steadily drawing IoT closer to itself is the hospitality industry. 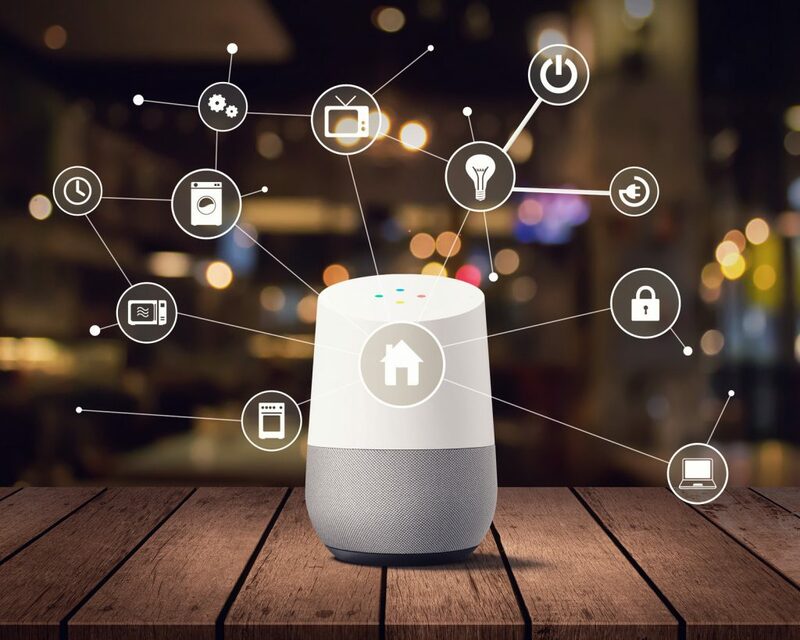 Smart devices are penetrating into this global multi-billion-dollar industry helping it reap exciting benefits financially. The hospitality industry is valued at an ever-growing price of $10 Trillion employing a major chunk of active workforce in most countries. Hotel chains are striving to realize the potential for cutting down on expenses and wastage by harmonizing IoT solutions in their operations. On the other hand, travelers are demanding advanced technologies as amenities during the course of their trips. 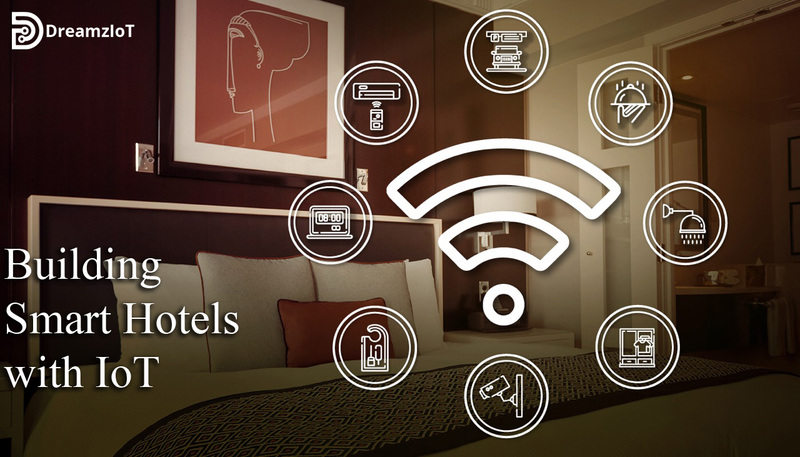 Consider this list of some compelling IoT solutions currently leaving their mark on the hospitality industry spanning from the front desk to the guest rooms. An automated guest room would allow both staff and users to control different parameters like temperature, brightness, sound etc in their rooms with a dedicated app our simply by automation. IoT based technologies are also making it easier for the hotel staff to manage large properties with limited time and resources at hand. Daylight harvesting is one such technology where the indoor lightning regulates itself automatically based on the natural light detection saving on expenses and effort. Similarly, the temperatures for unoccupied rooms can be regulated using a smart thermostat connected to the sensors installed in the room’s door. Maintenance checks are essential to maintaining the quality and consistency of the experience guests have with any hotel. While it is a fairly common practice among hotels to conduct preventive maintenance on regular intervals, predictive maintenance is fast catching up as sensors are swarming over every nook and corner of hotels. Simply speaking, sensor data can detect when a problem is to occur and send a message to the right members of the staff calling them to fix the issue. This way, problems can be dealt with much before they catch the attention of the guests, minimizing complaints and inconveniences. Also, predictive maintenance can cut down on futile preventive measures by scheduling checks based on actual usage. Predictive measures are tremendously helpful in avoiding water-related damages which often end up ruining fittings and fixtures as well as paint and plaster on walls. Many of the sophisticated systems that are used by hotels to offer a smart experience to their customers are also found in our homes like we already mentioned the smart thermostats, smart locks, lights, TV etc, all controlled through our smartphone with a few taps. The settings for each of these devices, which the smartphone already has, can be mimicked by the hotel’s guest room to make the hotel’s guest room feel as close to home as possible. With big hotel chains like Starwood and Hilton now launching their own branded customer loyalty apps, the hospitality industry is getting a step closer to welcoming customers to a hyper-personalized experience which is at par with the level of comfort that they are used to experiencing at their homes. These customer loyalty apps keep are capable of analyzing the guest’s interaction with the equipment and make suggestions to improve their experience, hence, making the customer feel special. Once again, the added benefits of providing a personalized experience are reduced labor costs, higher satisfaction, and more physical attention to the less technology savvy guests. You might have seen Google Maps sending you notifications prior to any appointments you may have added to your calendar with real-time traffic data to help you plan your trip. In many such ways, apps now give more relevant information to its users through GPS by figuring out the time and location. And similarly, hotel guests can be given location based suggestions to help enrich their stay a new city. A manned front desk can be upgraded to a digital front desk which can answer the common queries which guests often have, with even more accurate answers than a human could’ve given. As millennials gravitate towards international destinations for traveling, smart assistance becomes even more relevant with linguistic and cultural gaps to bridge. On a brighter note for hotels, location data can provide a new revenue source if they share the data with relevant advertisers to direct travelers to restaurants and entertainment spots. Just like any other industry, the hospitality sector too has just forayed into the world of IoT powered devices and there remain many more wonders to be explored. Understanding and utilizing the potential of this upcoming revolution is sure to open new opportunities for hotels. Amidst all the hustle and bustle created by the arrival of these new technologies, customer service still remains at the helm of successful hotel management.